The WYO Theater opened in 1923 as Sheridan, Wyoming’s premier movie palace. 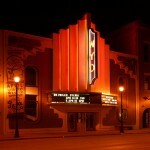 Some sixty years later a local effort arose to restore and renovate the theater, by then reduced to a gutted interior and a deteriorating exterior. The only historically significant feature on the facade was the prominent wood and stucco “rooster comb.” This rooster comb became a dominant design element, and the new facade was designed, removing two small shops and other elements from the 1950’s. 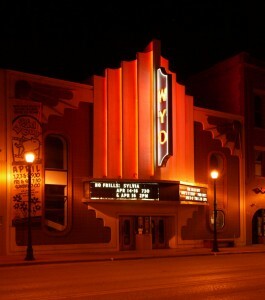 The facade used tile, stucco and glass similar to the originals to create a WYO with historical references but an entirely new look appropriate to its new stage theater functions. The theater seats 480. 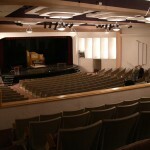 The lobby shown at left replaced a lobby with a seven foot, nine inch, high ceiling, under balcony seating which extended to the front wall of the building. In order to bring the seating arrangement into conformance with the Uniform Building Code and to create an entry/lobby space appropriate to the theater’s new role in the community, we took advantage of the building’s full internal height to open up the space. The curved concrete stair was designed both as a required fire exit and as a primary visual feature. During intermissions, theater patrons fill the lobby, the mezzanine, and move freely up and down the stairway. In 2005 Malone Belton Abel was engaged to design a major expansion into the two adjacent buildings. 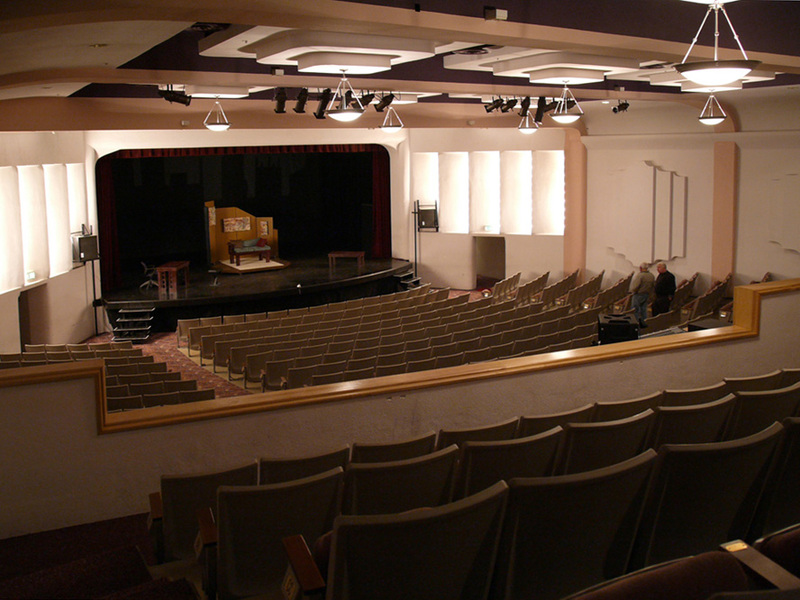 In 2014, Phase I of the project was completed, dramatically increasing lobby space, adding restrooms, the new Mars black-box theater, expanded green room, artist spaces, and much-needed wing space, including an elevator serving the new second floor offices and the third floor costume storage and work area.